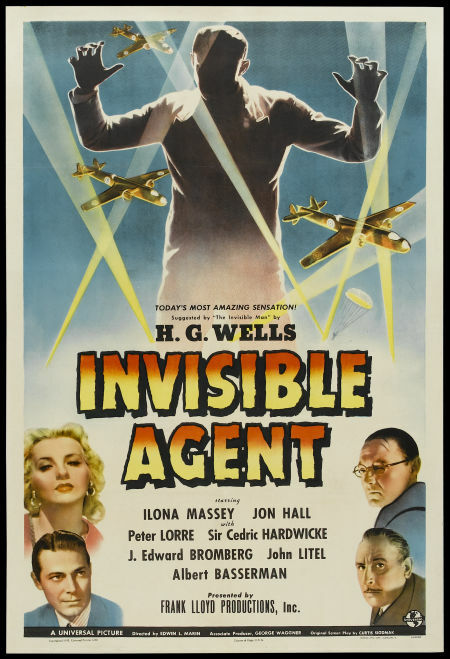 INVISIBLE AGENT could very well have been subtitled “The Invisible Man vs The Nazis”! This is the only Universal Horror that addresses the topic of the war in Europe (despite the fact most of them take place in Europe! ), and though there aren’t many scares going on, Curt Siodmak’s sci-fi flavored screenplay, John P. Fulton’s fantastic special effects, and a cast featuring Peter Lorre in his only Universal Horror appearance make this one of the most enjoyable movies of the whole bunch! 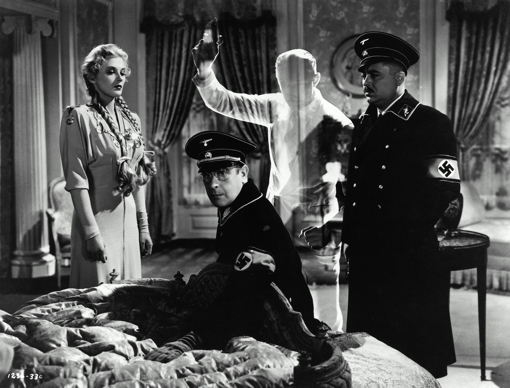 This entry was posted in Film, Film Review, Horror and tagged Cracked Rear Viewer, Curt Siodmak, Gary Loggins, Halloween Havoc!, Ilona Massey, Invisible Agent, J. Edward Bromberg, Jon Hall, Peter Lorre, Sir Cedric Hardwicke, Through the Shattered Lens, Universal Pictures. Bookmark the permalink.